Theresa Payton, the former White House chief information officer, answers questions at Illinois Wesleyan University in Bloomington on Thursday, Oct. 29, 2018. Theresa Payton served as the White House chief information officer in 2006-2008 during the Bush administration. She visited Illinois State and Illinois Wesleyan universities last week as part of the Adlai E. Stevenson Memorial Lecture Series. Asked about the security of America’s voting systems, Payton said the Department of Homeland Security is holding regular briefings to share threat intelligence and other guidance with state election authorities. She said Congress also approved $380 million in funding for states to secure their elections. Illinois got $13.9 million, which it’s using for cybersecurity upgrades and training, the Chicago Tribune reported. "The wake-up call has been there, and everybody's been working pretty fast and furious to answer known security vulnerabilities." “There’s a lot of awareness. Does that mean we’re perfect and we’ve done everything we needed to do in a short period of time? No. But the wake-up call has been there, and everybody’s been working pretty fast and furious to answer known security vulnerabilities,” Payton said. Among other changes, the Illinois National Guard will have cybersecurity specialists on-call, just in case something goes wrong Election Day. The push comes after the Russian military allegedly hacked the state’s electronic voter registration database in summer 2016. Payton delivered her Stevenson lecture at ISU on Oct. 29, titled “Hype or Reality? Your Workplace and Blockchain, Cryptocurrency, Artificial Intelligence, Machine Learning & the Internet of Things.” Earlier in the day, she fielded questions during a master class at IWU. In addition to her role at the White House, Payton has worked extensively in the private sector. She held executive roles in banking technology at Bank of America and Wells Fargo. She’s the co-founder of two cybersecurity companies, Fortalice and Dark3. Payton praised higher education institutions for their response to the need for more cybersecurity professionals. Illinois State, for example, recently launched a cybersecurity major. But Payton said more needs to be done in K-12 schools. Payton said she’s concerned that younger students are not encouraged to at least try IT fields, even if they ultimately choose another path. Society is putting too much pressure on “our grade, middle, and high schoolers to perform,” Payton said. There are many possible “points of interception” for a cell phone call, Payton said. Unsecured Wi-Fi networks also present a risk, as do messages that may unknowingly pass through a cloud account, she said. It’s not just the cellular network. “My advice would be, if you do need to use your smart phone for confidential conversations, whether you’re the president of the United States, or an executive, or the president of a university, consider using an encrypted app. Check your surroundings. Turn off Wi-Fi and Bluetooth. Check your surroundings. And then consider using encrypted apps like Signal or Threema or another one,” she said. October is National Cybersecurity Awareness Month, and it began with a sobering reminder of what’s stake—another big breach affecting our personal data. 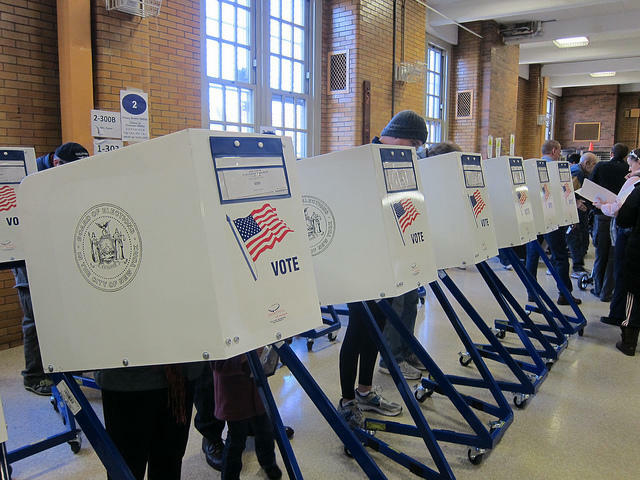 With only three weeks until Election Day, the Illinois State Board of Elections wants to reassure voters their information is safe from cyberattacks.